There are times in life when unintentional pregnancy occurs in the context of fatherhood. There are times when an individual believes he is a father but in the distant future discovers that he is not the genetic father of the child. If a divorce results from this union the man that is not the genetic father of a child may not wish to pay child support for this child for up to 18 years. In these circumstances, a man may wish to terminate his parental responsibilities to the child to avoid paying child support on the child that is not his generically. Under the Texas Family Code 161.005, a father may terminate his parental rights to a child if (1) he is not the genetic father and (2) a signed acknowledgment of paternity or the father failing to contest parentage of a child was due to a mistaken belief that the man was the genetic father of the child based on misrepresentations that led him to that conclusion. Basically, the man must not be the genetic father and he must have been deceived by misrepresentations made by the mother or other family members in order to successfully prevail in a termination suit. The man wishing termination must file the suit within two years from first becoming aware that he is not in fact the genetic father of the Child. The importance of this two year limitation is that that it begins when “the man first becomes aware that he is not the genetic father of the child”. This means that a man may be adjudicated and considered the father for ten years but after he discovers or becomes aware that he is not the genetic father of the child he will have an additional two years to file suit and terminate his parental rights. The man is the intended father of the child under a gestational agreement validated by a court under subchapter I, Chapter 160. These three areas of adoption, assisted reproduction, and signing of a gestational agreement will prohibit a man from terminating his parental right or attempting to release himself from the responsibility of being a father, which includes child support. In most instances a man will bring a termination of parental right because he has been misled into believing that the child is his when in actually the man is not genetically related to the child at all. The parental termination will end child support for minor children that are not genetically related. A parental termination suit should not be filed before careful thought since it will terminate any rights the man has to the child and most importantly the man will relinquish his right for visitation access and decision making. If you are desiring to terminate the parental rights of a child you should contact an experienced lawyer to ensure that you qualify and that the suit proceeds as smoothly as possible allowing the court to make a ruling that favors your termination. The possession order for both mother and father in any divorce must be in the Best Interest of the child and the Court has specific guidelines it must follow if both parents refuse to agree to custody arrangements. The Managing Conservator has primary custody of the child and the Possessory Conservator has visitation but is not the primary custodian of the child. The guidelines set forth by the Court regarding custody for parents living 100 miles or less of each other and parents that reside over 100 miles from each other are listed in the Family Code § 153.312 and § 153.313. Have custody of the child throughout the beginning of the year at 6 p.m. on the first, third, and fifth Friday of each month and ending at 6 p.m. on the following Sunday. On Thursdays of each week during the regular school term beginning at 6 p.m. and ending at 8 p.m. unless the Court finds this is not in the best interest of the child. Custody of the Child for 30 consecutive days during the summer but the Possessory Conservator will be required to give written notice to the Managing Conservator by April 1st of each year specifying the extended period of possession for the summer. If Possessory Conservator does not give written notice on April 1st, then the Possessory Conservator shall have access to the child from 6 p.m. July 1st to 6 p.m. July 31st of each year. Have custody of child throughout the beginning of the year at 6 p.m. on Friday of the first, third, and fifth weekend of each month and ending at 6 p.m. that Sunday. The Possessory Conservator may also elect an alternate weekend if he/she gives a 14-day notice either written or telephonic to the Managing Conservator. The visitations on Thursdays nights are not mandated under this section due to the distance between the two parents. Custody of Child for 42 consecutive days during the summer but the Possessory Conservator will be required to give written notice to the Managing Conservator by April 1st of each year specifying the extended period of possession for the summer. If the written notice is not given then the Possessory Conservator shall have access to the child from 6 p.m. on June 15th to 6 p.m. July 27th. The Court shall follow these guidelines unless it is NOT in the Best Interest of the child. These guidelines are needed because of the contention between both parents and the common inability to find a middle ground when it comes to custody of a child. The Court may deviate from these standard Guidelines but only if a parent can prove by clear and convincing evidence that it is in the Best Interest of the Child. If these guidelines are unworkable because of the child’s schedule then the Court will make exceptions but attempt to keep the custody arrangements as close to the guidelines as possible. Custody issues can be vexing and straining on both parents. To ensure you receive a fair outcome to see your child, it is wise to seek an experienced attorney to ensure that the sacred right to see your child is not infringed. In today’s hectic pace, moving to another state for business, family demands, or pleasure is a very common occurrence. But what about the family that is separated by divorce or separation and share custody of their children? What happens to this family situation when Mom or Dad decides to take another job or wants to move to another state and take the children to or from the other? 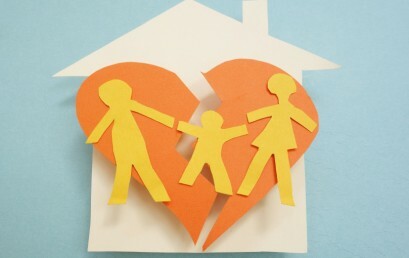 A Child Custody Relocation Case? Sadly this happens frequently. Most Texas attorneys employ a geographic restriction in divorce decrees for couples who have children. These restrictions dictate that the Child and Custodial Parent must live within a school district, County of Domicile, or consecutive contingent counties near the non-custodial parent. But what happens if this restriction clause is not contained in the divorce decree or if Dad/Mom were never married? Forty Nine States, including Texas have adopted the UNIFORM CHILD CUSTODY JURISDICTION AND ENFORCEMENT ACT (UCCJEA) drafted by the National Conference of Commissioners on Uniform State Laws in 1997. The UCCJEA is a very helpful law since all states but one participate in the determination of the ”HOME STATE” and which jurisdiction will handle the family case. UCCJEA also helps to protect non-custodial Parents fighting for child custody out of state when their children have been moved to another state or over 100 miles away from them. 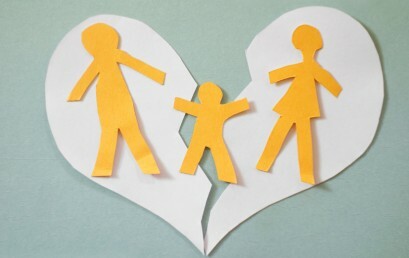 How does The State of Texas treat an initial Child Custody determination? *Has continually lived in the state for 6 months or longer and Texas was the home state of the child within six months before the commencement of the legal proceeding. Relocation is a child custody situation which will turn on the individual facts of the specific case, so that each case is tried on its own merits. Allowing or not allowing the move. Order opposing parties to provide all information on child’s addresses and telephone number. There is another important cause of action in Texas where the court will “take “EMERGENCY JURISDICTION’ over a case even though another state has the original jurisdiction. If the opposing party can prove that a legitimate emergency exists and Texas needs to assume the jurisdiction. These emergency situations could be abuse of the child, abandonment or cause neglect of the child, or any action that would put the child in immediate harm’s way. The Nacol Law Firm P.C. @ www.nacollawfirm.com is committed to helping parents have the right to have frequent and continuing contact with their child at all times and encourage parents to co-share in the rights and duties of raising a stable, loving child. Many times, because of parental alienation or other personal factors, a child will be taken away from the non-custodial parent and this can cause some serious mental and behavior problems for the child which could follow her/him into a lifetime adult situation. Sometimes you can settle, SOMETIMES YOU FIGHT FOR YOUR RIGHT! We can help!